Peace of mind vehicle repair! 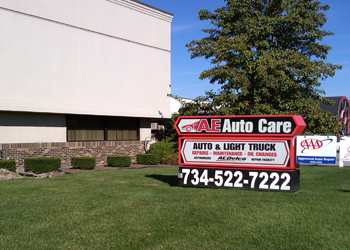 Since 1981, AE Auto Care has provided motorists in the Livonia, MI 48152 area with comprehensive auto repair services that include 4x4 Services, Alignment, Brakes, Car & Truck Care, Domestic Cars & Trucks, Electrical Services, Electronic Services, Engine & Transmission, Engine Maintenance, General Services, Heating and Cooling Services, Import Cars & Trucks, Inspections and Emissions, Miscellaneous Services, Tires, Towing, Transmission Services and Undercar Services. Our goal is to offer the best services available at affordable prices to get you back on the road in no time. 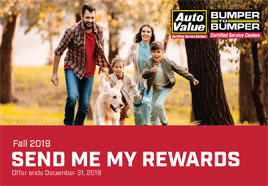 For a high-performing vehicle, trust AE Auto Care with your car, truck, or van. To learn more about the services we offer, please contact us by phone at 734-522-7222 or send us an email. We also invite you to learn more about our dedication to you, our valued customer. This is the only place my Dad will take his car. So I've got an appointment for a wheel bearing replacement in the morning. Great prices, and if Dad trust them, then so do I!! Best service for the price, scared of the service charges by dealer's service center?? Then this is where you should be..
Well I went to them for service on my van; they were the upmost professional. I wanted work done and was willing to pay the $1000 plus to do so; unfortunately they wouldn't allow me, to have work done that apparently didn't need it and or needed right away. The communications were awesome, especially when sometimes I can be considered to be over worried and having lots of questions. At the end of the day, only what was necessary was done and cost me a 3rd of what I was willing to pay. I am great full and will continue to do business here as long as the service remains patient and honest as they were with me this week! Thumbs up guys! I began taking my Solstice there about 4 years ago for a heater issue (the resister melted and they had to rewire)...less than $100 later, I was on the road. Now everyone in my family takes their car there for repairs, no matter the extent. Every review I've read talks about their honesty, and I can truly say I agree. They do not try to rip you off, and Steve explains, in detail, the repairs to be performed before doing so. From sports cars to SUVs, A&E is the place to go for trustworthy and reliable service. From dropping the car off through picking it up, the service is great! I have had work done on all of my vehicles and referred others there as well. Steve is great and does a fantastic job explaining the problems and options to fix it. I've compared prices and they are very competitive. The most important piece is their honesty! While I was convinced I had an issue with my mini-van they assured me it was fine. They could've easily found a problem and charged me for it but they didn't, instead Steve sent me on my way, without charging me for the diagnosis, he knows I'll be back! I first brought my car to them about a year ago because i heard good things about them and saw they had great reviews. Let me tell you- these guys are the best! I drive a 25 year old Volvo and it's hard to find someone that is reliable and willing to work on it. They've always been honest and up front about all repairs and are very reasonably priced; cheaper than anywhere else and QUALITY work. Now i only take my car to them when it needs servicing. Even when they're busy, they usually find time even to just look at your car so at least you know what to expect before they get to work. Don't trust your cars with anybody else, take them to AE! My family have been taking our vehicles to AE for over 35 years. Always the best service and guys I can trust. Won't go anywhere else. I made my appointment online and brought my car in on that date. The work was completed before lunch time. Thanks, guys! You have been taking care of my cars for a long time now. You are honest and professional. This should be the only place to bring your car in for repairs in the Metro Detroit area. Great team of people. Front desk Service guys are top notch. One of them even came out and jumped my car to get me there when my alternator was having issues. I love you guys. You have fixed my vehicles and have done major work on my vehicles on several occasions. I always recommend you to anyone looking for a GREAT mechanic. In fact my brother will be calling you soon. The piece of mind I have of just knowing I have you guys around is priceless. Knowledgeable and honest mechanics are hard to come by. Thanks again guys.